This is always an exciting time of year. Not only is fall my favorite season, but the upcoming holidays hold the promise of family get-togethers and the warm memories of past celebrations. And of course, as a weaver, it’s the fruition of a year at the loom. Many groups sponsor art and craft sales ahead of the holidays. 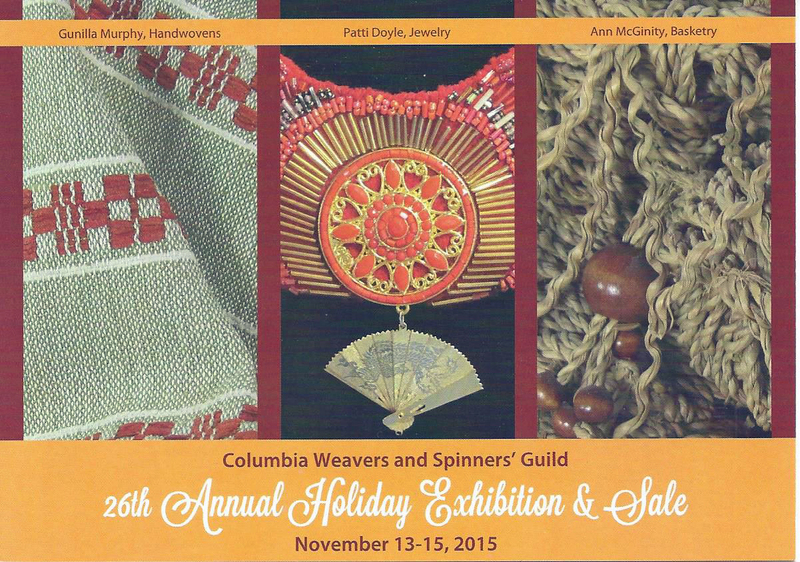 My local guild, Columbia Weavers and Spinners Guild, has been putting up a Holiday Exhibition and Sale for over 25 years now and it affords us the opportunity to ooh and ahhh over each other’s artistry. I am always amazed at the breadth and variety of items that come in, everything from luscious camel handspun, delicate beaded jewelry, baskets that speak of the grasslands from which they came, and of course handwoven shawls, scarves, towels, table coverings, and rugs. There are always surprises and submissions that take our breath away. What inspiration! This event is the culmination of a year’s worth of work for many of us. Some of our members participate in multiple sales, but some just do this one event. The community is so supportive each year and it charges our creativity for the next year. 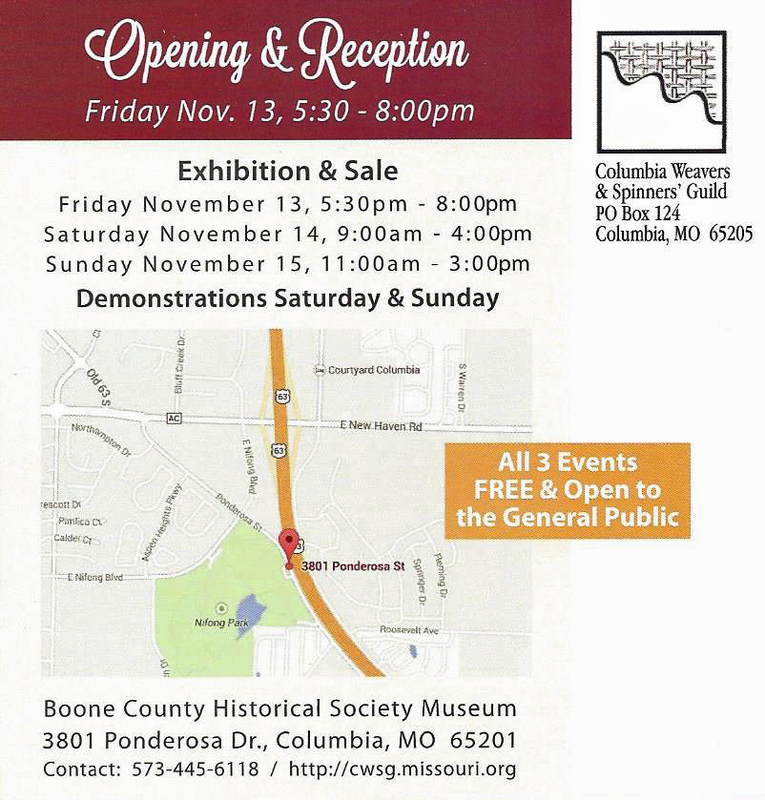 So I invite you to come join us if you are in mid-Missouri next weekend! Submerse yourself in fiber art and be inspired! Contact me for more information. I’d love to meet you there! I wish I lived near you! It would be such fun to meet. I’m helping a weaving friend at her big craft show next weekend, too, and going to my own (to sell candy) tomorrow. A busy time, indeed! Jean, hope you had a great sale. It’s so fun and inspiring to see the creativity of of other guild members.